Angels Breath looks another star for the growing Nicky Henderson battalion after his win in a Supreme Trial at Ascot just before the turn of the year, and his owner - Dai Walters, is excited over future prospects. The 5yo now heads to Merseyside to further showcase his Supreme credentials in a similar trial, after his impressive win in Berkshire handed him the favouritism tag for the opening race of the 2019 Cheltenham Festival. Should he prove dominant once again, we should expect a short-price for Angels Breath for the Supreme - the first time a horse has been favourite at this stage not from the Willie Mullins yard, since 2013. His owner appears thrilled with his talented grey's chances. 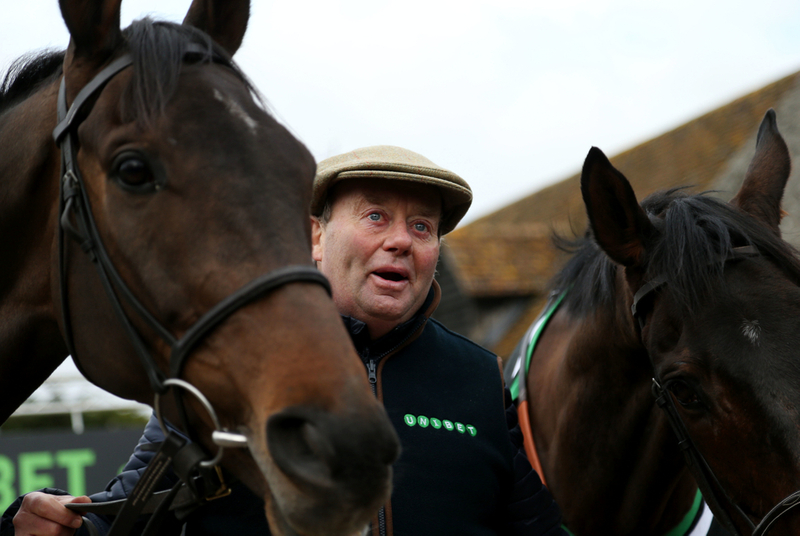 (Credit: Racing Post) Walters said: "He's an exciting horse and we've got big hopes. "He's a very good horse, but it's early days and we've got to keep him in one piece. He was something special when he won his point-to-point to be honest with you. "I bought him myself at the Land Rover Sale in Ireland. He hadn't won his point then and was a store, but he looked the part and was by Shantou. I bought a couple that day and seem to have hit on a good one," he said. Walters also has Al Dancer who is currently third favourite for very same race, who has won all of his three starts over hurdles, including a victory at the Festival venue over a month ago. Al Dancer is trained by Nigel Twiston-Davies, meaning Walters looks to have two leading lights from two different yards, and it is no wonder he is excited.